The Alpine A310 had a pretty daunting legacy to contend with, created with the purpose of superseding the Apline A110, the Alpine A310 despite having the world renowned engineer Rober Opron involved in its creation struggled badly to even match its predecessor. This was not to say that the Alpine A310 was a poor or inferior product, but the Alpine 110 had earned a near legendary status among critics and consumers alike and in order to trump it, would require some especially unique and dynamic. A major criticism leveled at the Alpine A310 was that there was simply not enough in the way of new innovations to distinguish it from the Alpine 110 or indeed most of the competiting brands of sports cars at the time. Opron who earned much critical acclaim for his innovative and groundbreaking work on the Citroen SM ironically became in much the same way as the car he was charged with designing, a victim of his own success. Both car and creator had to endure constant criticism and condemnation from both the executives and consumers alike, both groups wanting something even more lavish, extravagant and awe-inspiring. The Alpine A310 was typical of the standard Alpine vehicle, utilizing their by now trademark design of an engine in the rear and a backbone chassis. Whilst there is an adage “if it isn’t broke, why fix it”, the Alpine 310 eventually drew criticism for its seemingly modest differences, whilst being promoted by the Alpine company as the latest and greatest new model, many consumers felt that it was the same bag of tricks with nothing but a new name. In 1977 the Alpine 310 was instrumental in securing a nail biting victory in the French Rally championship, helping to raise a greater degree of consumer awareness about the product and these boosting sales. The victory that the Alpine A310 managed to secure in 1977 was especially significant because only half a year previously the Alpine company had changed the engine specifications so as to allow for a greater top speed. In general though, the level of interest never managed to reach the same proportions as the A110. A major stumbling block with the A310 was that whilst the exterior was significantly amended and modified in a bid to make the car seem more modern, the greater weight of the car soured a lot of actual and potential purchasers who wanted a crisp driving experience with as little drag as possible. Sure, the handling and the steering were met with a lukewarm reception but there was many a whisper that the A310 was simply trying to “better” itself from its predecessor in the cosmetic department alone. 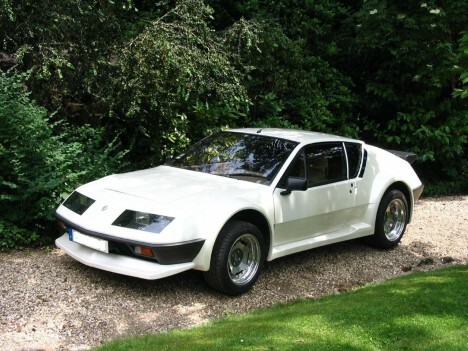 The Alpine A310 was produced between 1970-1984 and became the flagship for the Alpine company.